Nothing is more important to us than the health & safety of our customers and of our employees. 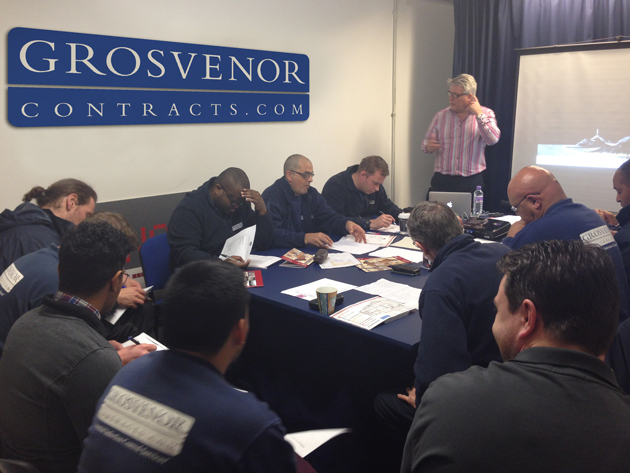 As part of our health and safety policy all Grosvenor Contracts’ Service Delivery Technicians recently completed a UKasl refresher course in Asbestos Awareness. Our Service Delivery Technicians are also trained in Manual Handling, Steps and Ladders, Kestrel (Anti-Ligature Training) and PASMA Access, they are also all CRB cleared.